The idea of a camera lucida (“chamber/room-light/bright”) has been around for at least 400 years. It is based on the optical effect created by positioning a mirror so that it reflects an image onto another surface. This allows someone to copy the image, to a level of detail dictated only by one’s patience. The fascinating documentary “Tim’s Vermeer” chronicles inventor Tim Jenison’s efforts and experiments (five years, people) to discover how the 17th-century Dutch master Johannes Vermeer might have achieved such photographic realism in his paintings. He created a full-size replica of Vermeer’s The Music Lesson and everything in it, then proceeded to create a pretty d@mn good copy of the painting itself. This from a guy who could not paint. What was interesting to us was that Tim’s journey led him to construct a setup very similar in principle to a camera lucida. Yup, I did it using paint-by-numbers – only without the numbers. 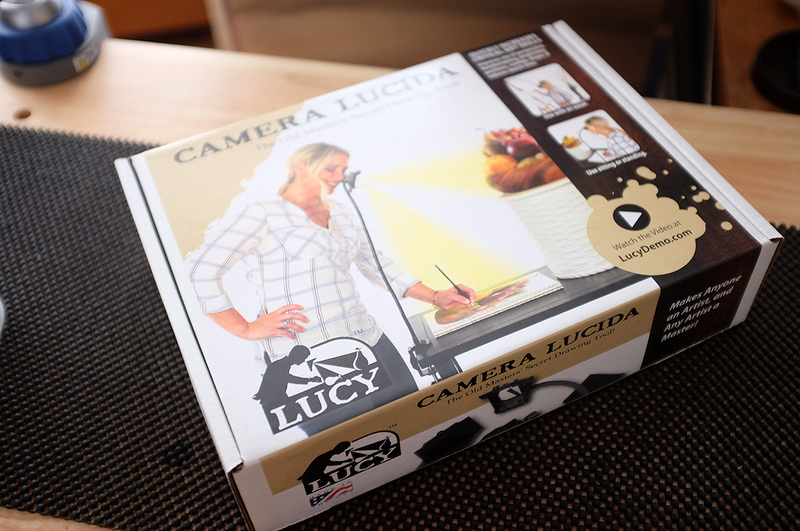 The LUCY, designed by Les Cookson & Ken Higginson, is a modern version of the camera lucida. The designers took the fundamental construction principles—half-silvered mirror, prism, virtual image—and created a modern version of the drawing aid with updated materials. Flexible neck – Two feet long, coated, and made from lightweight steel. 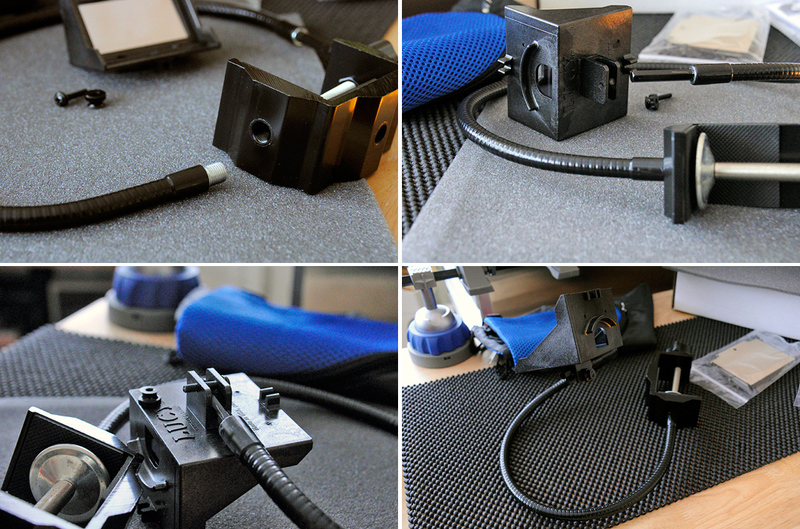 Metal C-clamp – Aluminum with rubber covered grip to protect the table surface. Slide the end of the gooseneck with the hexagonal protrusion into the channel on the rear of the mirror assembly. 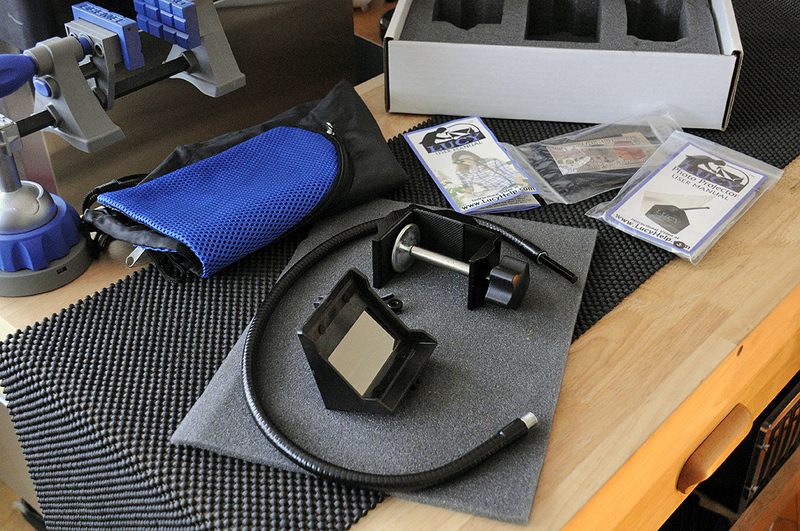 Thread the other end of the gooseneck directly into the C-clamp, and clamp in place. The only bits which could go “missing” are the screw and nut securing the head to the gooseneck. It wouldn’t hurt to have a few replacement screws in the bag, just in case. 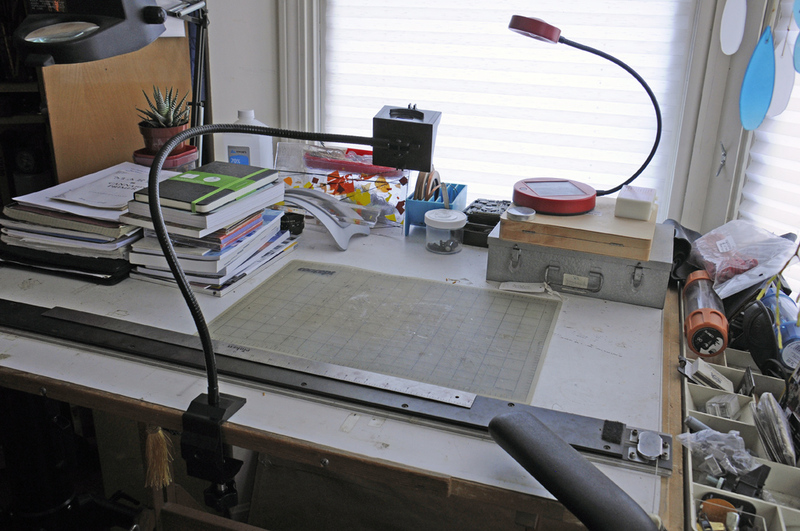 Of course, all camera lucida setups require that the scene being copied remain static and unmoving, so one does not see this technique employed by sports sketch artists, say. We have previously reviewed the NeoLucida, a tool similar to the LUCY. The principle was the same, but the NeoLucida had a much smaller view port, and it was difficult to get the eye/lens/image alignment correct and steady (eyelashes, man). We are eager to see if the larger LUCY makes the process easier. And we are ready! To copy a gridded cutting mat, apparently. We will have more on each the deficiencies/issue in our FirstUse writeup. Look for it in the Spring. As well as our version of someone else’s masterpiece.